RAWALPINDI: The cost of doing business in Pakistan has increased greatly, President of the Federation of Pakistan Chambers of Commerce and Industry (FPCCI) said on Monday, urging the business community to unite to face such problems. �It is need of the hour that businessmen community must stand unite to overcome the prevailing problems�, Zubair Ahmed Malik said while speaking at a ceremomy at the Rawalpindi Chamber of Commerce and Industry (RCCI). 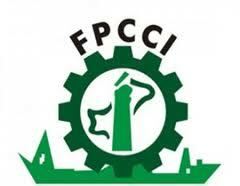 The FPCCI President said said business community is facing immense problems such as energy crunch and taxation.He said the big increase in the cost of production was the result of the immense problems faced by the business community, from the deepening energy crisis to what he considers unbalanced taxation. Manzar Khurshid Sheikh, president of the Rawalpindi Chamber of Commerce and Industry, said the RCCI always stood by the FPCCI in its effort to highlight the issues of the business community.